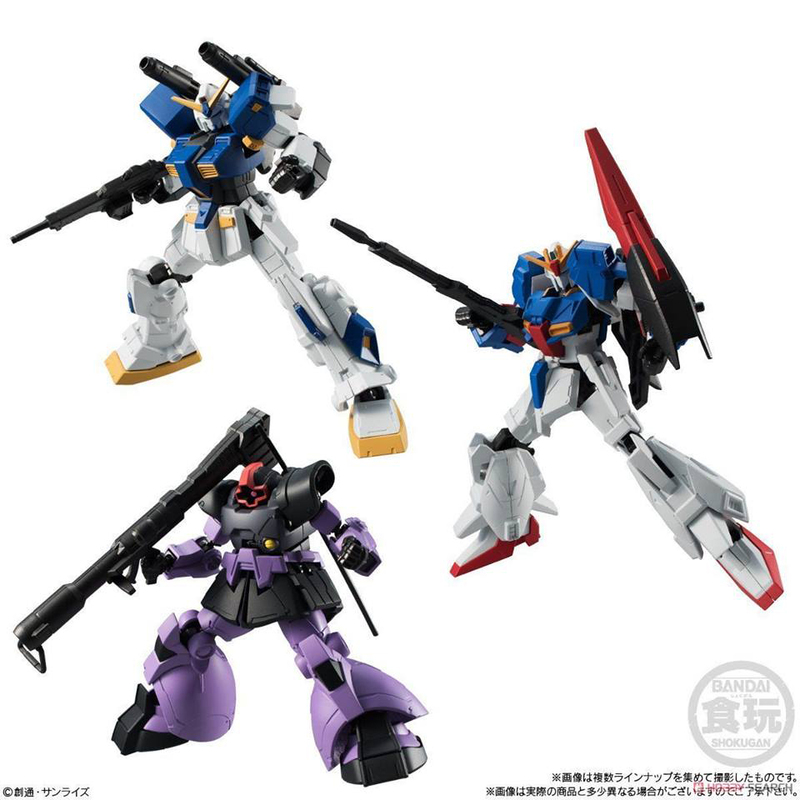 From Bandai Shokugan comes the second issue for this new line of Gundam figure. G Frame, as the name indicate, boast its frame which enables the figures wider range of movement. In each display you'll find 10 boxes. 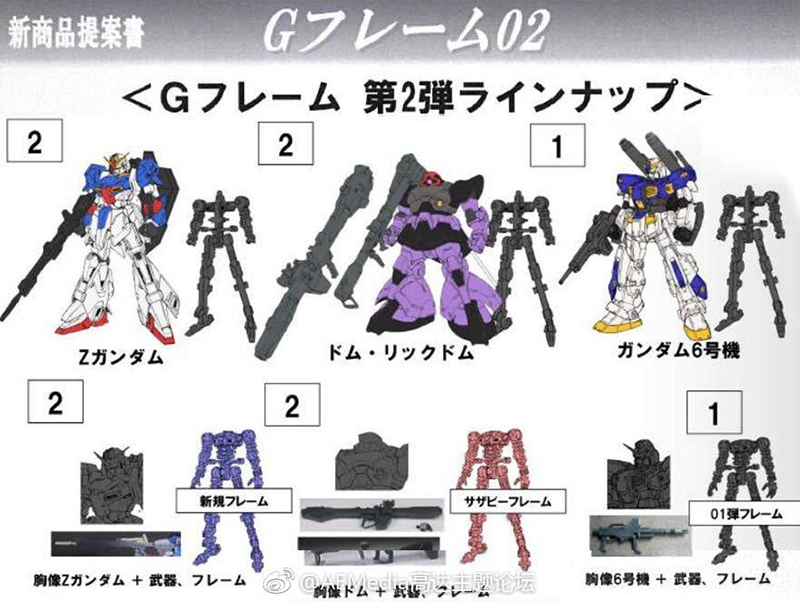 The figure-box called Set Armor comes with the mobile suit’s outer armor with a non-articulated, standing frame. the figure-box called Set Frame comes with a non-painted bust figure and weapons and an articulated frame that can combine with Set Armor.